Looking for a proven way to more happiness? 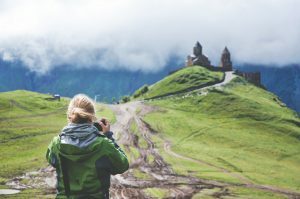 This article shows the benefits of travel with the research to back-up the claim that travel can lead to more happiness. relax away from the pressures of work and everyday life; you get the thrill of realizing dreams you may have had for years and years. In 2003, Thomas Gilovich published his landmark study called “To Do or To Have? That Is the Question” – a study that, more than a decade on, continues to influence social psychology and the study of what brings us true contentment. Gilovich looked at how economic choices affect well-being and analyzed the differences between experiential and material purchases on human happiness. His unexpected discovery has changed the way we look at our buying habits: Across the board, doing things makes people way happier than having things. in good feelings that lasts for a few days. But when you take an amazing trip, you get the memories and the good time together. 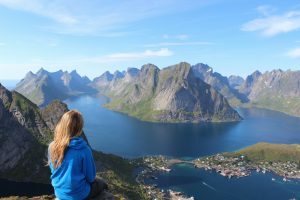 And every time you think of that trip, or you see something that reminds you of it, or you look at the picture on your desktop, your brain registers those joyful times and releases mood-enhancing chemicals that make you feel like you’re re-living the happiness of the experience itself. It stays with you, and you get to access it whenever you want. So, even something as boring as waiting in line is more fun when it’s connected to your travel experience. But it makes sense when you think of it, doesn’t it? You’re waiting to, say, get your passport photo taken, and associated with that time are thoughts of where you’re going to go, what you’re going to see, and all the adventure that awaits. When you’re planning that trip with your agent, you get to make progress, take steps towards realizing your dream, and each step is actually a part of the adventure itself. Are you convinced? Ready to start taking the steps towards your next travel adventure? Let’s chat – just click here now to let me bring a little more happiness to your life! PS, Do you have a lifetime travel plan?